Today's the last day to enter the Lifetime Supply of Dry Peas & Lentils Giveaway! Head on over to enter. 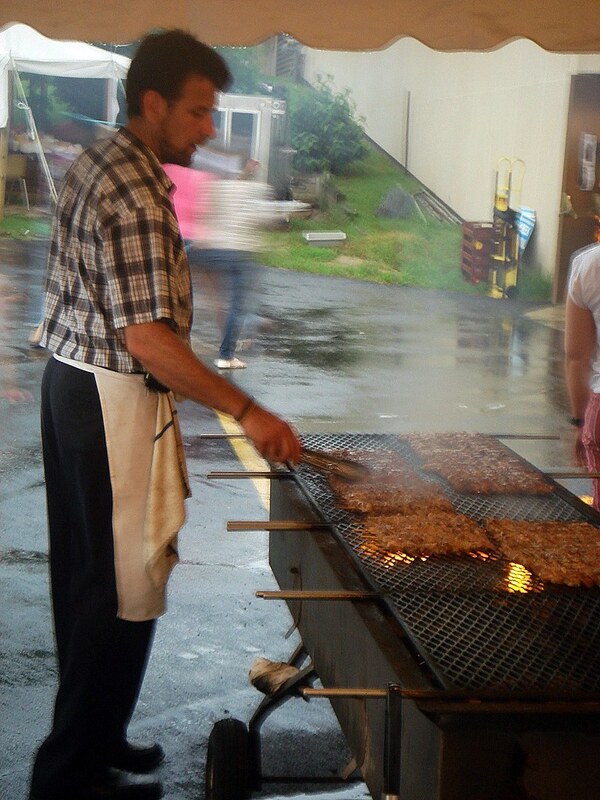 I spent this past weekend at the local Greek Festival in South Bend. I originally went for the food (really for the desserts, honestly), but enjoyed the atmosphere just as much as what I ate. I was a bit camera shy so I didn't capture the atmosphere to share with you as much as I wanted, though I'll get better about that. Some festivals leave you feeling as you've entered the third world of carny-ism, like you can't wait to get home and take a shower to wash away the memories. But this festival left you with a wonderfully calm, joyful feeling. Despite the fact that you were surrounded by people you didn't know, there wasn't a sense of awkwardness of being disconnected guest at someone else's party. For example, when you go to a restaurant it's you, your party, you have a good time, eat and leave, but you have to interaction with the table next to you. Here, although you were there for yourself, you didn't get a sense that you weren't part of the enjoyment happening with the group next to you, or that you were isolated from the majority of parties. Other than the rejection from the local cops when we were stuck in the mud (our car, not us) to offer aid of any sort, there was no lack of concern and elbow grease from the average church member when they saw our plight. A ready team of volunteers grouped to help problem solve, and when their efforts proved futile they called in the forces, i.e., a son who had a truck and a "tow pull" to resolve the situation. In their self-imposed need to apologize, they offered us tickets for an abundance of free food for the following day, in addition to drinks and food while we waited for help to come. Additionally, the next afternoon when we came, they refused to take our money for the entrance fee when they remembered who we were. And who can leave a place like that not feeling satisfied inside and out from not only the food, but the genuine love and care that was generated from the people present towards one another. They sought to make strangers feel like friends and friends feel like honored guests. Even watching the grandsons with the very old grandmothers, and the daughters taking care of their mothers, and the favorite uncle taking interest in the small children of his family, was an unexpected but welcomed experience that epitomizes why the festival left you with such a sense of happiness and well being. For my dinner choice I went with a gyro, which I'm sure I could have picked something other than what probably was a typical choice, though I wanted the taste of the warm pita bread and the tzatziki. But the lamb! I thank Mary for sacrificing her little lamb because it was incredible. The meat was incredibly succulent and tender, and definitely was worth getting again. 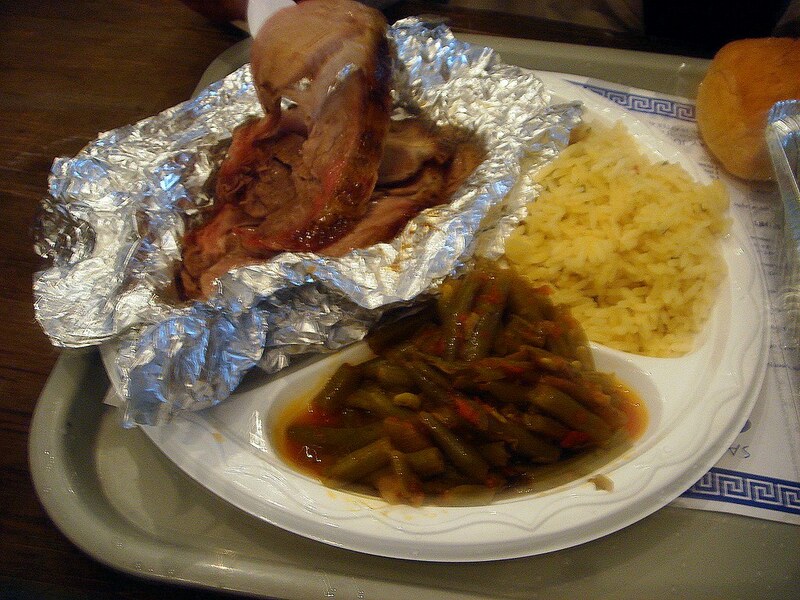 The sides, Greek green beans and rice, were simply just sides and not worth getting into. The salad was a bit skimpy, though we found out later that this year's festival sold the most food so they were probably getting low on everything. Despite the rain, the turnout was great and the tables were pretty much packed. So I'll pretend we returned the next day for the salad, though that's not true. What I liked about the salad was that the vinaigrette wasn't incredibly tart, nor extremely greasy, and definitely not sweet, but just a nice blend of light flavors. The feta cheese wasn't as salty and overpowering as feta often has a tendency to taste, so it definitely wasn't the abundance of feta that made everything better. See that sign? Greek coffee? YES. I didn't drink enough of those. Originally I meant to get the frappe, but I opted not to after seeing the $5 price tag, vs $2 for the hot coffee. The frappe can easily be made at home, so I made the wise choice. This may not be everyone's cup of coffee, but as one of the ladies who made my cup the next day said, "After drinking Greek coffee you see all the wonderful things of life!" Who could refuse that? 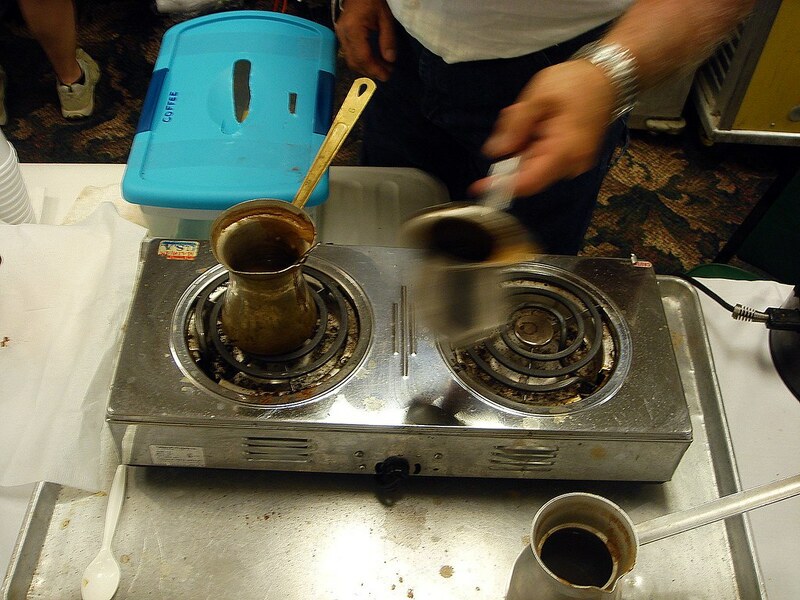 To make Greek coffee, finely ground coffee beans (to be authentic, find actual Greek coffee) are added with some sugar (his standard for preparing the coffee was metrios, or medium, made with one spoonful of coffee to sugar, with additional sugar packets available if you desired your coffee to be glykys or vari glykos, almost honey sweet. If requested, he probably would have prepared the coffee sketos, without sugar, strong and bitter) are added to a briki with water and stirred once (and never again, even after it's served). The briki then heated over a low heat and, holding the briki by its long handle, heated until the foam bubbles and rises to the very top and immediately removed from eat. Traditionally, you would wait a minute for the coffee grounds to settle before pouring into cups, but for the festival there wasn't enough time to wait. Yes, my first sip included coffee grounds, yet it wasn't that disgusting. I never really sweeten my coffee unless I want to enhance the flavor (like in a vanilla coffee, or coconut coffee), but when the sugar is added during the brewing process it doesn't taste as harsh. I really enjoyed the strength of the coffee, which I'd put somewhere between an espresso and regular drip brewed coffee. I miss not being able to drink it, so I'll be looking to buy a briki soon. If you want to make your own, follow these instructions. Next up was the loukoumathes, Greek honey puffs. 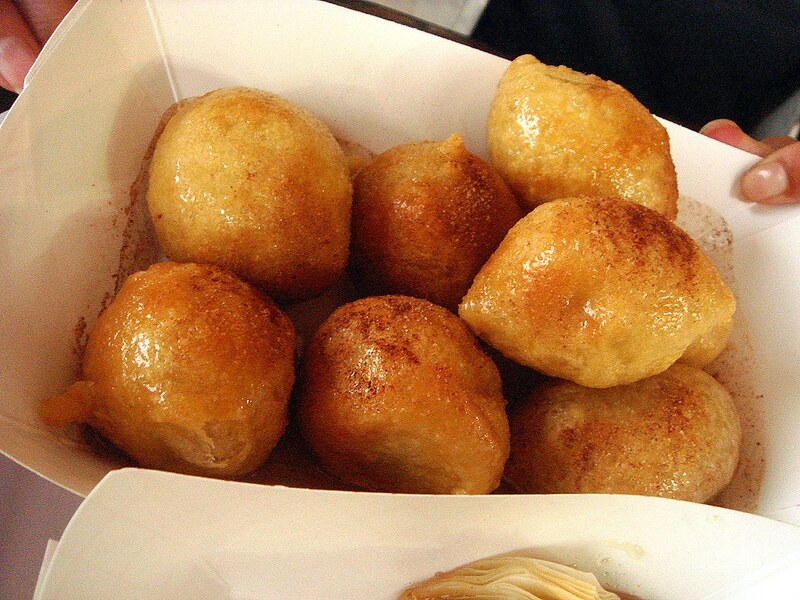 Dough balls are fried and tossed with a honey sauce and sprinkled with cinnamon. Unlike traditional fried doughnuts, these were spongy on the inside and crispy on the outside. These weren't delicate, and not only did they retain their shape but help up to the syrup without turning soggy. Wonderful stuff! 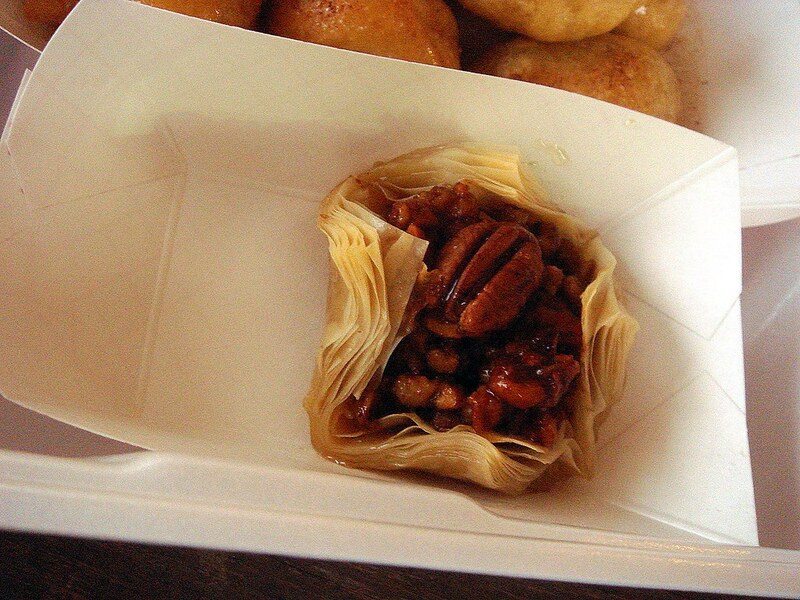 Next up was a pecan blossom, phyllo baskets filled with glazed pecans and topped with honey. 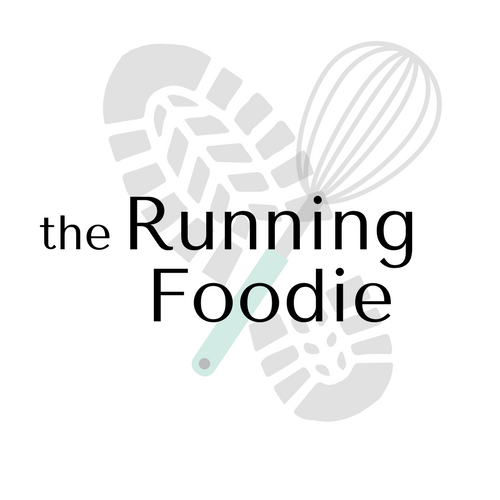 There seemed to be a layer of a ground and coarsely chopped pecans underneath the top layer, and it had a powdery, dry taste, but nowhere close to tasting like sawdust. Just a different, unexpected taste. The top cookies, finikia (melomakarona), and kourambiedes were given to us after our car got stuck in the mud. The finikia, honey-dipped cookies, a butter cookie flavored with spices, orange juice, and brandy or cognac are formed into ovals and dipped into a honey syrup. The crumb is moist, yet still reminiscent of a sandy fine-textured butter cookie. The syrup was light and very good. Kourambiedes, a Greek Christmas cookie, is a rich butter cookie flavored with brandy (not really detectable) and doused in confectioners' sugar. Unlike "snowballs" these don't include ground nuts (there is a ground almond Greek cookie, though). The texture was light and crisp and very good. 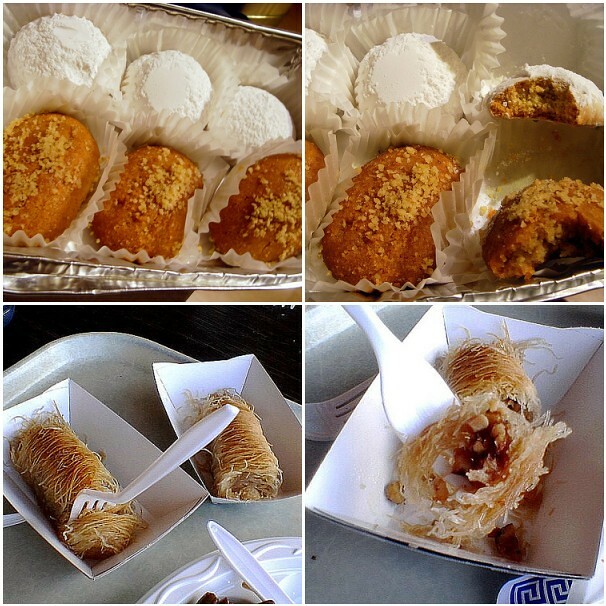 The bottom dessert in the above picture is kataifi, shredded phyllo with honey and chopped nuts. Despite its appearance, this is NOT shredded wheat, which we joked about quite a bit as we ate it. We wouldn't have tried this except that a man was carrying a tray and walking around the tables, so we bought two. I was surprised at how much I liked it, though what's not to love about the crispiness of shredded phyllo moistened with honey and filled with nuts? In fact, next time I get shredded wheat I'm going to break it up and serve toss it with toasted pecans and drizzle it with honey. My version will include a splash of milk, most likely. 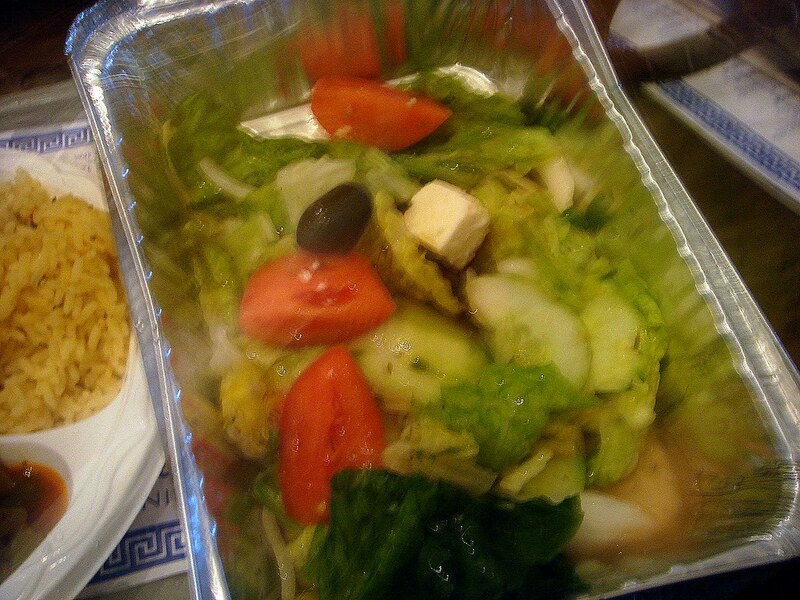 I hope you enjoyed reading about some of the different Greek food that I tried as much as I enjoyed experiencing it firsthand. If you're near a Greektown or find a Greek festival taking place where you live, don't hesitate to go! Great recap. 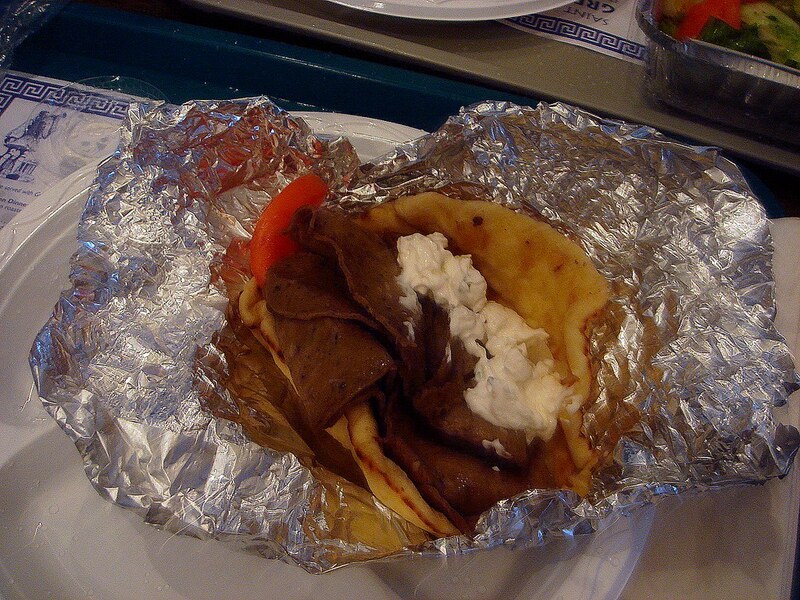 And you're right, you can't go wrong with a gyro..ever! What....no mention of Beeswax recording artists "Elwood Splinters Blues Band"??? oh right...they arent Greek. But the bass player was Greek, I think. Yum! 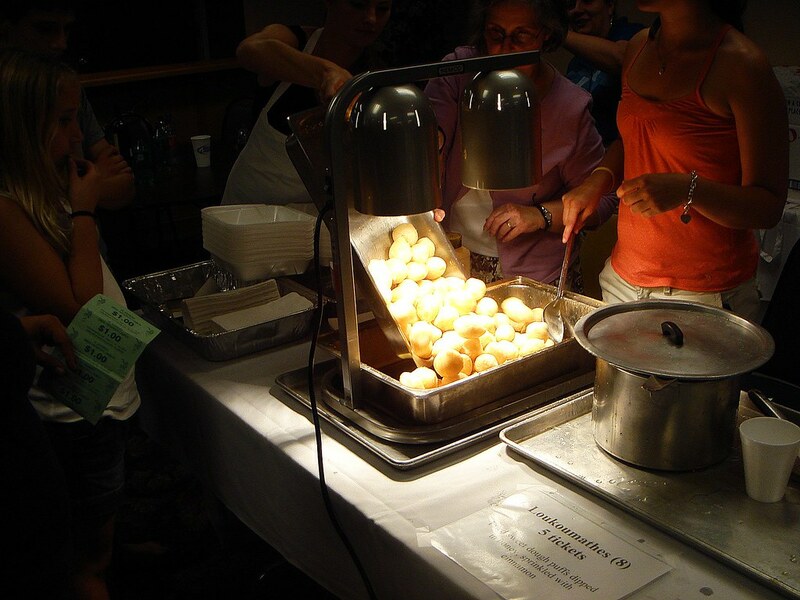 My hometown has an awesome Greek festival every year, and I'm really sad that I haven't been able to go since entering grad school. It looks like you ate a lot of tasty things though, so I will live vicariously through you and your lamb gyro experience. Mmm. This was a really fun post! I love hearing about the culinary customs of other cultures. 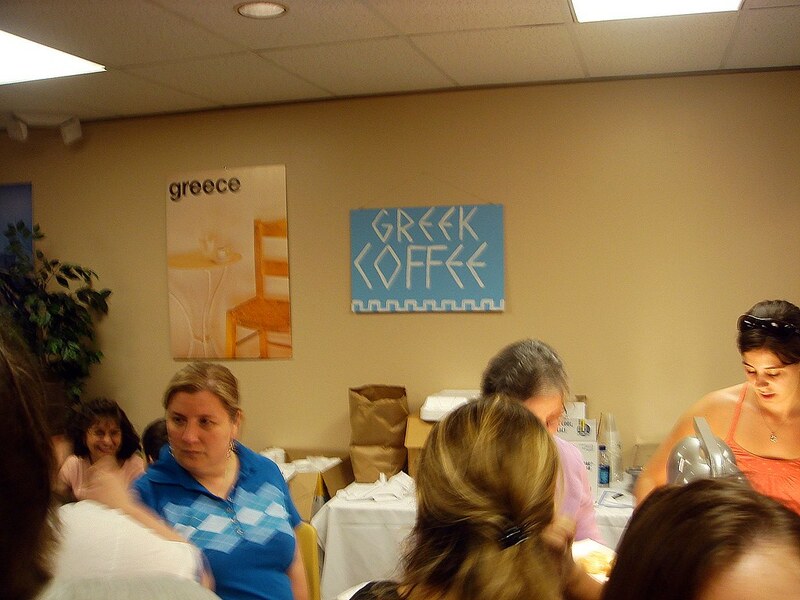 I'm especially intrigued by this Greek coffee business - and I don't even drink coffee! That's a great giveaway you had! This festival sounds like fun. I wish we had festivals like that here. I really, really want to try Greek coffee. I know I'd love it!